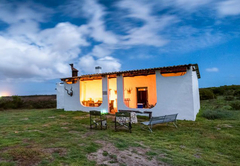 Blombosch Jaghuisie is a property providing self catering in Yzerfontein for up to 4 guests visiting the Cape West Coast region. 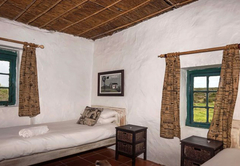 Situated on a farm just 8kms outside Yzerfontein, Blombosch Jaghuisie boasts a beautiful setting overlooking salt pans. 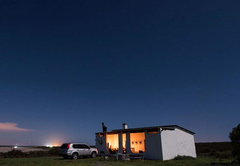 The nights skies are filled with stars making stargazing stunning. 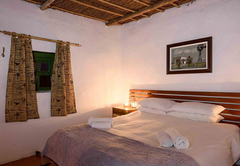 The accommodation has two bedrooms. 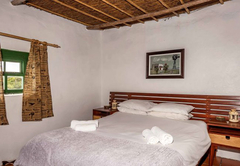 One is furnished with a double bed and the other has two single beds. 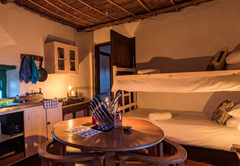 There are also two bunk beds in the kitchen area. 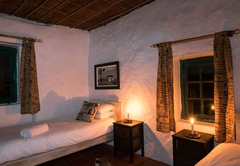 These rooms make use of a shared bathroom which has a bath only. Bedding and towels are included but bring along your own beach towels. 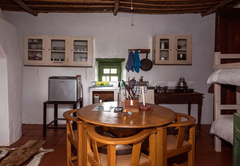 The kitchen is equipped with a bar fridge, two plate stove and other basic appliances. There is also crockery and cutlery provided. 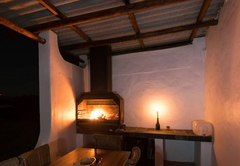 There is a fireplace and outside braai facilities are provided. 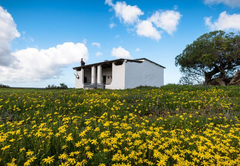 The house is powered by gas and solar power. 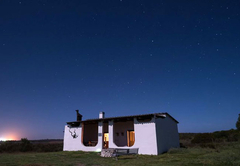 Jaghuisie is situated on Blombosch farm (Yzerfontein). Cosy, rustic house. 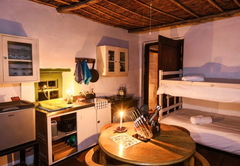 Inside fireplace, 2 plate stove, small fridge. 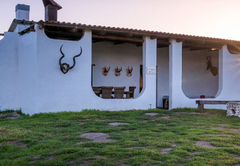 Outside Braai area. House has no electricity, only solar and gas is used. Response timeBlombosch Jaghuisie typically responds to requests in 5-10 minutes.